If your kids are taking music lessons, and you are looking to buy the right instrument for their early stages, you may have to invest a lot of time into doing your research. An instrument is a costly investment, so you have to make sure that it endures long hours of music lessons and the regular wear and tear that a kid or teenager may put it through. Because of this, we present to you the LJ Hutchen Bb Trumpet. This trumpet is a cost effective solution that will withstand the test of time even when used every single day by your little ones. The LJ Hutchen Bb Trumpet was designed with professional measurements for its bell and bore. 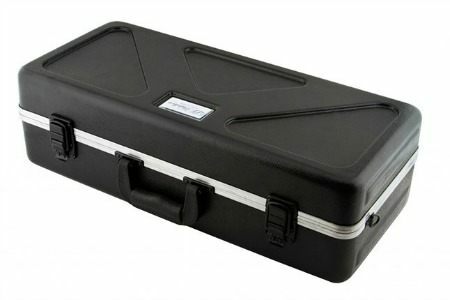 This means that when you are rehearsing or playing live, this trumpet will give you professional sound. You will also notice the lacquer finish and the rose brass pipe, which also enhances the sound made by this trumpet. The LJ Hutchen Bb trumpet will produce the clearest tone a beginners trumpet can create, making it a superb choice for players of all levels. This trumpet’s tuning slide is braced, so it is better aligned when playing. This means you won’t have to spend a lot of time tuning your trumpet. As for price, this model is among the most affordable options on the market today, especially if you consider the fact that it sounds like a professional model. According to reviews for this product, a lot of parents find this to be a great trumpet for their kids when sending them to music lessons of all levels. 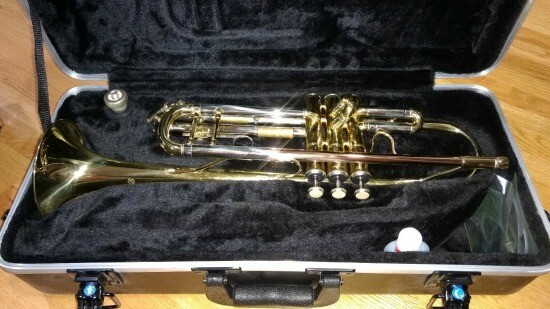 A lot of busy parents really like the fact that this trumpet does not require as much maintenance as other models. While other trumpets require weekly oiling, this trumpet can go a few weeks of being played without any hassle or maintenance. Other folks really appreciated the overall sturdy build of this trumpet, a testament that it was built with attention to detail. Some people even mentioned cases where their child dropped the trumpet and there was no significant damage done whatsoever. Unfortunately, not all customers were 100% happy with this LJ Hutchen model. Apparently, the mouthpiece is not that durable and may need to be changed after some time. That said, most reviews say that it is easy to find a replacement, and you can always find other suitable and durable mouthpieces on Amazon. Some folks also found their trumpet to need some minor valve adjustment. It seems the valves on this trumpet can sometimes come turned a little awkwardly and may need minor adjustment, which should only take a few minutes. 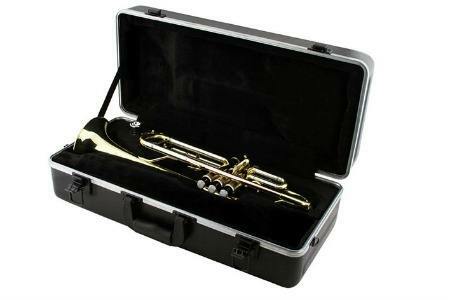 The LJ Hutchen Bb trumpet can be found on a variety of online retail stores for a great price, however, we recommend you head over to Amazon, where you can find this trumpet with a travel case and free shipping for just under $250. You can also add a protection plan just in case, so you can avoid any hassle if the instrument is damaged or malfunctions. When your kids are starting out music lessons, you want an instrument that encourages them to go to class. The LJ Hutchen Bb Trumpet is perfect to keep the young ones interested, and because of its quality and price tag, we can’t recommend this model enough.